Hironobu Sakaguchi, better known as the creator of the Final Fantasy series, joined with Square in 1986 and created the first Final Fantasy game in an effort to find success in the gaming industry. Final Fantasy is not only still around today, but it's become one of the highest-grossing video game franchises of all-time. Many sequels came as a result of Sakaguchi's continued guidance over the series up until Final Fantasy IX and each entry into the series was met with positive reception and and increasingly high sales. Despite this, one game out of all of them stood out the most, and that game is Final Fantasy VII. Final Fantasy VII was released on the original PlayStation in 1997 and went on to win numerous Game of the Year awards in that year. Fans of the game praised the game for its excellent character design, original plot, and the twists it put on the traditional RPG elements that the series stemmed from. For years, fans were in an uproar about a remastered Final Fantasy VII, which was finally confirmed at E3 earlier this year. 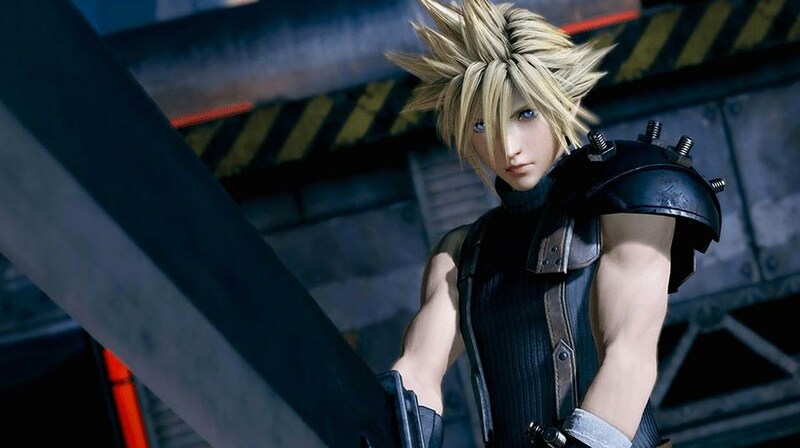 Although Final Fantasy VII (Remake) won't be around for quite some time, it was decided that the original Final Fantasy VII should be available on the PlayStation 4, to remind players how far the game and the series as a whole has come. For those that may have missed out on the opportunity to play the game in their childhood, Sony has given you a second chance. The same goes for anyone looking to play the game for nostalgia's sake. Square Enix also made sure to pull the curtains back a bit on Final Fantasy VII (Remake). During 2015's PlayStation Experience (PSX 2015), a trailer was released showcasing the world of Midgar in a brand new way that fans have only ever dreamed of. Although this is Final Fantasy VII in a completely new light, Square Enix stayed true to the original character design, at least for Cloud Strife and Barret Wallace who seem to have retained the same voice actors. The game's combat system seems to have been totally redone, with a new, action-based style of combat taking the place of the turn-based combat reminiscent of the older Final Fantasy games. Final Fantasy VII (Remake) is still a ways off, though, with the release date probably being in the back of Square Enix's mind. We'll certainly see more of the game in the coming months, but for now, we have the original Final Fantasy VII to play in preparation of the remake. Sosuke Aizen, Silent Night, Fanfare and 3 others like this.